Amazon’s plans for a second headquarters could transform the local economy of the winning city. Communities vying for the tech giant’s headquarters must weigh the costs and benefits of this unique economic development opportunity. 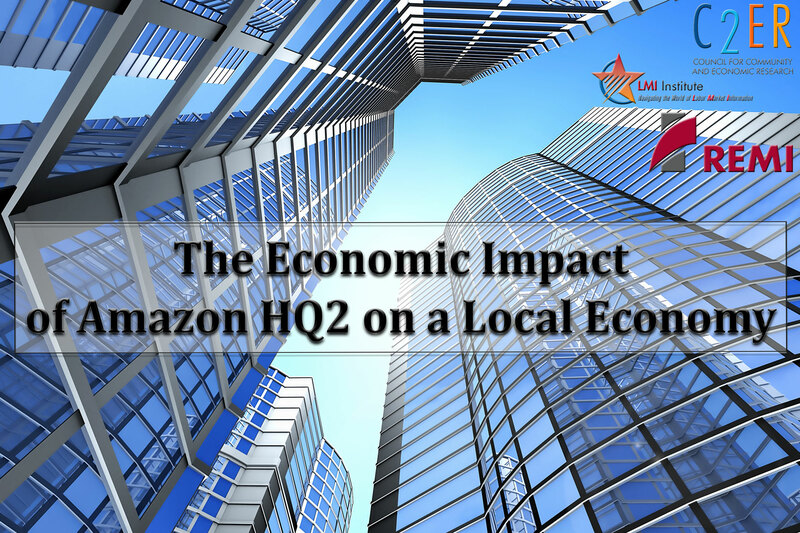 REMI and the Council for Community and Economic Research (C2ER) are jointly hosting a special webinar presentation on Tuesday, August 21st, 2018 from 2 to 3 p.m. EST looking at the local implications of hosting Amazon HQ 2.0 and how to assess the potential impacts. The webinar will include three presentations – each providing perspective into the fiscal and economic effects of luring a major employer, possibly through significant incentives. The speakers will provide an overview of the potential impacts, give examples of specific scenarios, and share the best approaches for evaluating the key questions involved in this project.